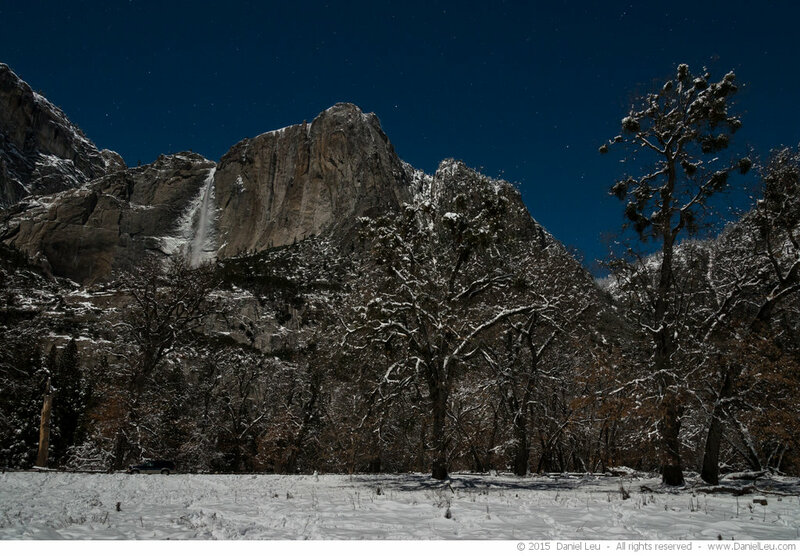 In the last 10 days, Yosemite and the entire Sierra Nevada received ample amounts of precipitation. 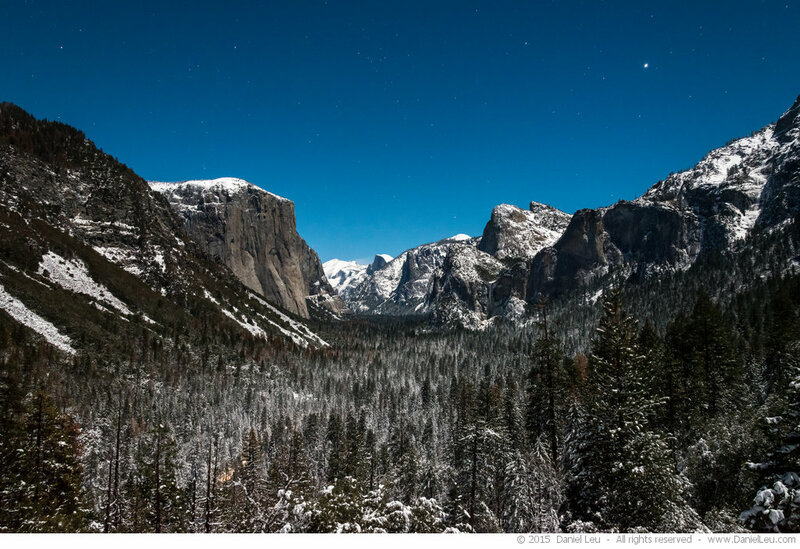 Having some free time on hand, we decided to make a short trip to Yosemite National Park to experience what we haven’t been able to see in the last few years: Yosemite with plenty of snow! When we arrived late at night, we headed directly up to Tunnel View where we found not only a stunning vista, but an empty parking lot too! I guess it should not have been a big surprise we had the place to ourselves since it was 12am! Apart from the stars in the sky, the image doesn’t really look like it was taken at night, does it? 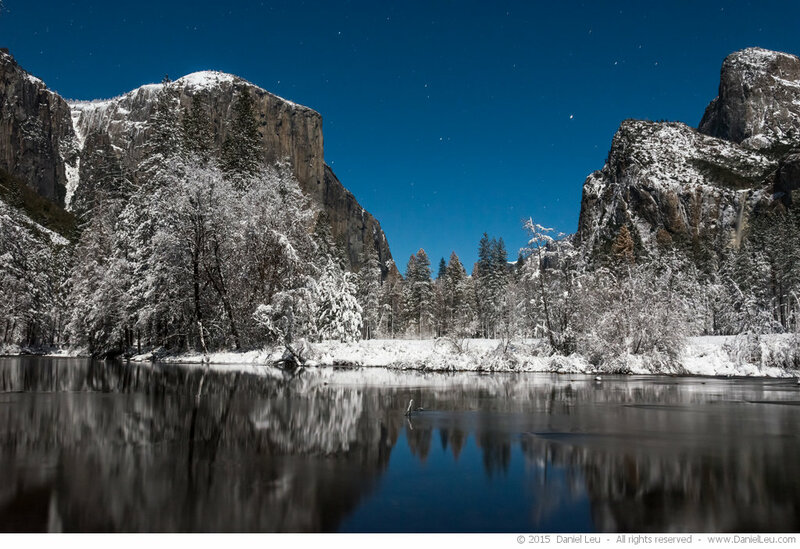 The entire Yosemite Valley was lit by a full moon. According to NASA, this was the first one on Christmas Day since 38 years. Although we were tired, we stopped by some of the valley’s photogenic spots. 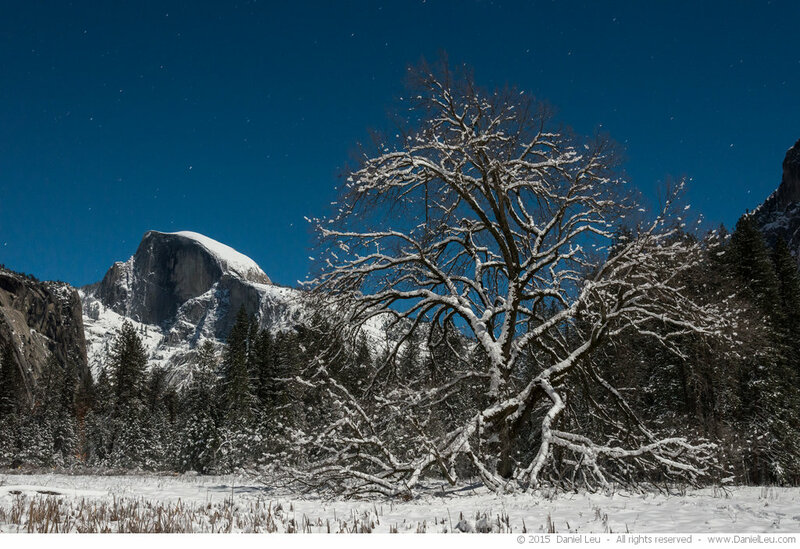 From Tunnel View we headed to Cook’s Meadow to visit the famous Elm tree. It is sad to see how the tree slowly but surely shows its age. I treasure each time I see it still standing. The temperature was 15ºF and we were looking forward to our heated hotel room and getting some rest. But on the way out of Yosemite, we had to make one last stop: Valley View. Even with the full moon, plenty of stars were visible. At our first stop at Tunnel View, I tried to make a star trail. Sometimes, there are so many stars in the sky that the resulting image is just too busy. 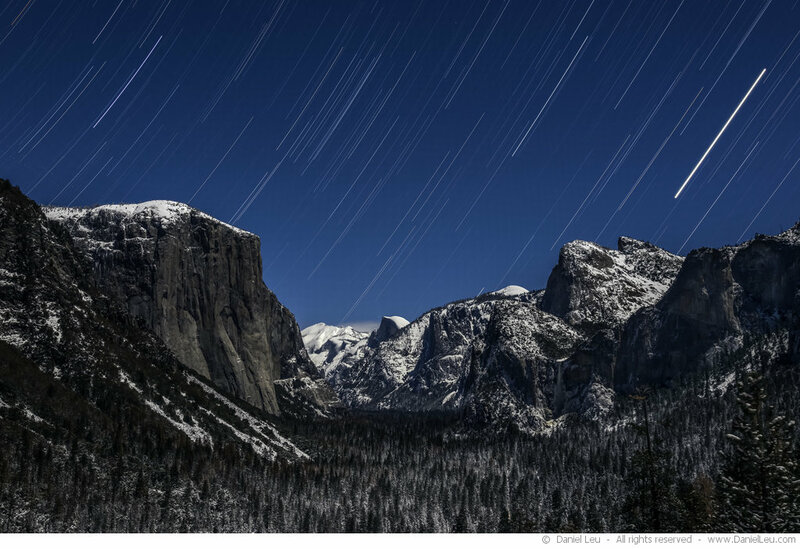 I like how this 37 minute capture turned out with just enough star trails to balance with the iconic Yosemite Valley. BTW, the very bright trail on the right hand side is Jupiter.